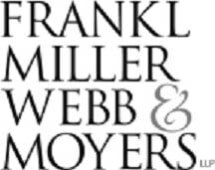 With more than 120 years of combined legal experience, our civil litigation team at Frankl Miller Webb & Moyers in Roanoke, Virginia, provides dedicated workers' compensation, personal injury and traffic defense representation. Taking a proactive approach, we are committed to helping those we represent obtain the best possible outcomes to their legal issues. Our law firm offers free initial consultations during which we review our clients' cases and circumstances, providing them with a reasoned analysis and personalized guidance. For workers injured on the job, seeking the benefits they need and deserve can be overwhelming. We explain to clients how the state's workers' compensation program works, help them determine their eligibility, and walk them step by step through the claims process. Our team also represents third-party administrators, insurance companies and employers in cases before the Virginia Workers' Compensation Commission, the Court of Appeals of Virginia and the U.S. Department of Labor. When motor vehicle accidents leave people suffering from serious injuries, we know that their stresses may involve more than just their physical pain and suffering. They may also be concerned about who will pay for their medical bills and how they will support themselves and their families while they are recovering. Providing the sound legal guidance they need as they navigate this difficult time, our team works to obtain the maximum compensation on behalf of our clients. When an accident involves a commercial truck, we are equipped to handle general liability and excess liability claims on behalf of interstate and intrastate motor carriers, owner-operators and self-insured transportation companies. Traffic-related charges and tickets may seem like a minor inconvenience, but they can bring unwanted attention and have lasting implications. Our attorneys at the law firm of Frankl Miller Webb & Moyers offer discreet, yet aggressive, defense. We strive to resolve our clients' tickets as efficiently as possible while mitigating the potential immediate and future effects on their lives. Our law firm accepts credit cards.